1) (Hutton, co. Cumberland, bart., extinct 1712; descended through the sixth son, Thomas Fletcher, from Henry Fletcher, Esq., of Cockermouth, who entertained Mary Queen of Scots on her journey to Carlisle, 1568). Ar. a saltire engr. sa. betw. four pellets, each charged with a pheon of the field, points downwards. 2) (Clea Hall, co. Cumberland, bart.). (Tarnbank, co. Cumberland). Sa. a cross engr. ar. betw. four plates, each charged with an arrow of the first. Crest—A horse’s head ar. charged with a trefoil gu. Motto—Martis non Cupidinis. 3) (co. Chester). Same Arms. Crest—A pheon per pale erm. and sa. point upwards. 4) (Kenward, co. Kent). Ar. a cross engr. sa. betw. four pellets, each charged with a pheon erect of the first. Crest—A horse’s head erased ar. Motto—Martis non Cupidinis. 5) (Lawneswood, co. Stafford; descended from the marriage of Thomas Fletcher Esq., of Water Eyton, living temp. Elizabeth, with Margaret, dau. and heiress of Ralf Alport, of Cannock). Ar. a cross engr. sa. betw. four pellets, each charged with a pheon or, on a canton az. a ducal crown gold. Crests—1st: A horse’s head erased ar. gorged with a ducal crown az. ; 2nd: On a chapeau gu. a scaling ladder or. Motto—Sub cruce salus. 6) (Moresby and Tallantire, co. Cumberland). Ar. a cross engr. sa. betw. four pellets charged with as many pheons of the field. Crest—A nag’s head ar. charged with a trefoil gu. Another Crest—A horse’s head erased ar. 7) (co. Stafford). Sa. a cross flory betw. four escallops ar. 8) (St. Lawrence, London; Fun. Ent., Ulster’s Office, 1643; William Fletcher, slain before Gloucester, and buried in the Collegiate Church there). Same Arms, impaling az. a chev. betw. three quatrefoils slipped ar., for Vincent. Crest—A dexter arm in armour embowed, holding in the gauntlet all ppr. an arrow also ppr. headed or. 9) (Swinford, co. Leicester, and Coventry, co. Warwick). Sa. a cross flory ar. surmounted of another of the first betw. four escallops of the second. Crest—A demi talbot ramp. az. eared or. 10) (Chichester, co. Sussex; granted 15 Dec. 1767). Sa. on a cross flory betw. four escallops ar. a cross couped of the first, a canton erm. Crest—A talbot pass. ar. pellettee. 11) (the Rev. John Kendall Fletcher, D.D.,of the University of Oxford, Chaplain to King George IV. and Vicar of Yamscombe and Ashford, co. Devon). Sa. a cross flory ar. surmounted of a plain cross az. betw. four escallops of the second. Crest—A bloodhound az. ducally gorged or. Motto—Dieu pour nous. 12) (Steynesby, co. Derby; granted, in 1731, to John Fletcher, Esq., High Sheriff of the county in 1732, whose family had realized a fortune by the collieries). Ar. on a cross engr. sa. a compass dial in the centre betw. four pheons or, a chief gu. charged with a level staff betw. two double coal picks of the third. Crest—A horse’s head couped ar. guttee de sang. 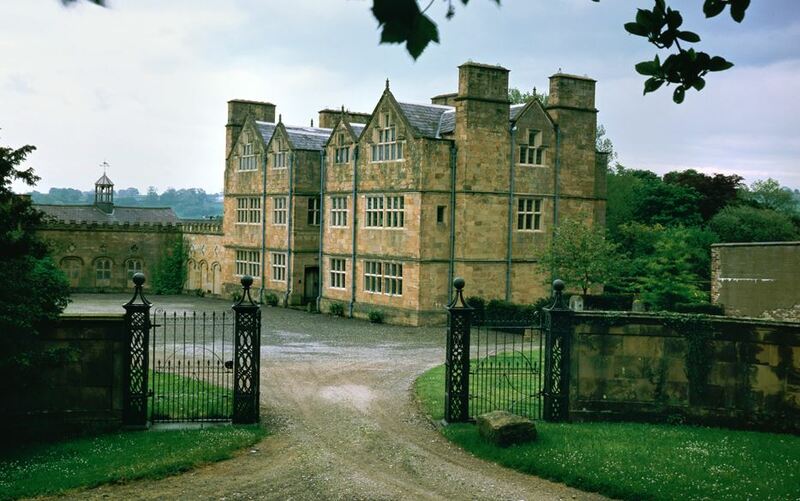 13) (Peel Hall, near Bolton, co. Lancaster). Erm. a cross engr. betw. four escutcheons sa. each charged with a pheon ar. all within a bordure wavy az. Crest—Three arrows, two in saltire and one in fess ppr. diverging from each angle a fleur-de-lis az. and surmounted in the centre by a saltire wavy sa. Motto—Alta pete. 14) (Mawgan, co. Cumberland). Erm. a cross moline sa. 15) (London, and Woodstock, co. Oxford; granted 26 April, 1613). Gu. a chev. ar. betw. three laurel leaves of the second, on a canton per bend sinister vert and az. three fleurs-de-lis or, betw. eight bezants. Crest—A fleur-de-lis or, pellettee. 16) (Condover, co. Salop). Sa. two pole axes in saltire ar. ducally crowned or. 17) Ar. a chev. betw. three mullets sa. Crest—Out of a ducal coronet or, a plume of three ostrich feathers az. handed gold. 18) (granted to Caleb Fletcher, Esq.). Az. two horses’ heads erased erm. and in base an anchor with cable or, on a chief wavy of the last three hurts, each charged with a pheon ar. Crest—A dexter arm embowed in armour, the hand grasping an arrow, all ppr. behind the arm an anchor erect or. Motto—Nec quaerere nec spernere honorem. 19) (granted to George Hamilton Fletcher, Esq., of Barrow Hedges, co. Surrey). Az. three arrows in triangle, the barbs pointing to the centre or, on a chief ar. an anchor erect sa. betw. two dolphins respecting each other ppr. impaling Wansey, or, a leopard’s face betw. three dexter gloves gu. Crest—In front of a fernbrake a centaur ppr. wielding with the dexter hand a spear or. Motto—Droit comme ma fleche. 20) Quarterly, sa. and ar. a cross flory counterchanged. 21) (Low Bashir, co. Westmeath; Reg. Ulster’s Office, to Benjamin Fletcher, son and heir of Col. Benjamin Fletcher, Captain-General and Governor-in-Chief of the province of New York, province of Pennsylvania, and county of Newcastle, and Vice-Admiral of the same, who was son and heir of William Fletcher, Esq. (slain at Gloucester, 3 Sept. 1643), and of Abigail Vincent, Iris wife, dau. and heiress of Henry Vincent, Esq., London). Sa. a cross flory betw. four escallops ar. quartering Vincent, viz., az. a chev. betw. three quatrefoils slipped ar. Crest—An arm in armour embowed, holding in the gauntlet an arrow all ppr. point or. Motto—Per angustum. 22) (Carrow, co. Cork, bart.). Sa. on a cross engr. erm. betw. four plates, each charged with a pheon erect az. a sword in pale ppr. on a canton or, a wreath of laurel vert. Crest—Out of a mural crown or, a horse’s head erm. gorged with a wreath of laurel vert. 23) (confirmed by Preston, Ulster, 1645, to Robert Fletcher, an officer in His Majesty’s train of artillery, descended from the Fletchers, of co. Chester). Sa. a cross engr. ar. betw. four plates, each charged with an arrow of the field. Crest—A pheon per pale erm. and sa. point upwards. Motto—Hic hodie eras urna. 24) (Reg. Ulster’s Office; descended from co. Chester). Same Arms, the plates charged with pheons. Crest—A horse’s head erased ar. maned or. Same Motto. 25) (Saltoun, Scotland). Sa. a cross flory betw. four escallops ar. Crest—A demi bloodhound az. gorged with a ducal crown or. Supporters—Two griffins ppr. Motto—Dieu pour nous. 26) (Aberlady, Scotland). Same Arms, within a bordure engr. ar. for diff. Crest: A demi lion ramp. az. holding in the dexter paw a cross crosslet fitchee ar. Motto: Fortis in arduis. 27) (Ballinshoe, 1763). Sa. on a cross flory betw. four escallops ar. a crescent gu. Crest and Motto, same as Saltoun. 28) (Dunnns, co. Argyll). Sa. on a cross flory ar. betw. two escallops in dexter chief and sinister base of the last, and as many quivers filled with arrows in sinister chief and dexter base three crescents in pale vert. Crest—Two naked arms shooting an arrow out of a bow sa. Motto—Recta pete. 29) (Barrow Hedges, Surrey, and 18, Park Lane, Londun, W.; George Hamilton Fletcher, Esq., J.P., m. 1864, Sophia, 5th dau. of George Wauser, Esq., of Warminster, Wilts, andti. 1879, leaving with other issue, George Hamilton Fletcher, 6. 1860). Az. three arrows in triangle, barbs pointing to the centre or, on a chief ar an anchor erect sa. betw. two dolphins respecting each other ppr. ; quartering for Wauser, Or, a leopard’s face betw. three dexter gloves, gu. Crest—In front of a fern brake a centaur ppr. wielding with the dexter hand a spear, or. 30) (Cury and Nawgam, co. Cornwall; Godolphin Fletchar, son of Robert Fletchar, Chaplain in Ordinary to Queen Elizabeth, and grandson of Robert Fletcher, co. Leicester. Visit. 1620). Erm. a cross moline sa. This is a primarily English, Scottish, Welsh, and Irish occupational surname for an arrowsmith, a person of makes or sells arrows, deriving from the Old and Middle English word fulcher or Old French flechier, from the Old French word fleche, meaning arrow, a tool/weapon that played a critical role in hunting and war during medieval times and prior. This was a very common and necessary trade during the Middle Ages. It could also refer to the superintendent of archery or medieval supply officer or bowman. Another source asserts the name derived from the old Germanic personal (first) name Fulcher, which translates to the “people’s army”, from the words folk (people) and heri (army). The name was introduced into England by the Normans, who were actually of Viking descend, during and after the Norman Invasion of 1066 AD. The progenitor of the family was a Norman noble named Jean de La Fleche, who received a grant of lands from King William I of England. The name was first established in the Forest of Hutton in Yorkshire, England, and Jean’s descendant, Sir Bernard Fletcher, moved north and received lands from Roxburghshire by King David of Scotland. Later, they moved further north to Aberdeen, and were some of the first settlers in Glenorchy, making an alliance with the Scottish Stewarts. Jean de la Fleche (circa 1042-1097 AD) was the son of Lancelin I de Beugency and Mathilde de Chateau-du-Loir. He married Paula of Maine, daughter of Herbert I the Count of Main, and they had a son named Elias I, the Count of Main, and their great grandson was Geoffrey Plantagenet the Count of Anjou, father of King Henry II of England. His father Lancelin was the son of Landry Sore, who is estimated to have lived from 930 to 990 AD, and was born in Beaugency, Loiret, Orleanais, France. Some spelling variants or names with similar etymologies include Fleccher, Flescher, Flegiar, Fleshar, Flesher, Flegger, Flechyr, Flessor, Vleeschauwhr (Flemish), Flechard (French), and Fleischer (German/Dutch). The last name Fletcher ranks 352nd in popularity in the United Status as of the 2000 Census. The name ranks particularly high in the following ten states: Arkansas, Virginia, Tennessee, Maryland, Washington, Louisiana, Oklahoma, West Virginia, Delaware and Nebraska. The surname Fletcher frequency/commonness ranks as follows in the British Isles: England (116th), Scotland (324th), Wales (175th), Ireland (1,032nd) and Northern Ireland (459th). In England, it ranks highest in Nottinghamshire and Lancashire. In Scotland, the Fletcher surname ranks highest in Argyll. In Wales, it ranks highest in county Anglesey. In Ireland, it ranks highest in King’s County. In Northern Ireland, it ranks highest in Antrim. The name is also present throughout the remainder English speaking world: Canada (408th), New Zealand (145th), Australia (150th), and South Africa (944th). The 1890 book Homes of Family Names by H.B. Guppy, states the following in regard to this surname: “This name has its principal home in the adjacent counties of Derby and Notts. It is, however, also fairly distributed over England, except in the southern counties south of a line joining the mouths of the Thames and the Severn, and in the east coast counties between the Thames and the Wash. Though, in all probability, the modern Fletchers usually represent the bow – makers of the Middle Ages, it is also likely that they include some of the original “fleshers” or butchers, such transformations being very easily made in the days of uncertain orthography, especially when inclination led the way”. Robert le Flecher was documented in the Assize Court Rolls of Staffordshire in 1203 AD. The Hundred Rolls of 1273 AD, a census of Wales and England, known in Latin as Rotuli Hundredorum lists four bearers of this surname: Ralph le Fleccher (Lincolnshire), Nicholas le Flecher (Lincolnshire), Adam le Flecher (Northampton), and Henry le Fletcher (Northampton). Robert le Fleccher was documented in Rotuli Litterarum Clausarum in Turri Londinensi. Adam le Fletcher was listed in the Guild of St. George, Norwich. The Poll Tax of Yorkshire in 1379 AD lists one three bearers of this last name: Robertus Fleger, Johannes Fleccher, and Stephanus Fletcher. John Flechyr held a burgage in Roxbergh, Scotland around 1338 AD. Baty Flessor held land in Ayr, Scotland around 1340 AD. Henry Flesher was burgess of Forfar in 1374 AD. The Fletcher genealogy traces back to Thomas Fletcher, Esquire of county Stafford, who in 1568, married Barbara, daughter of Sir James Foljambe of Walton, High Sheriff, and their son was also name Thomas. The son Thomas was an Esquire of Water Eyton and Shareshill, county Stafford, who acquired estates there by marriage with Maragaret, daughter and heiress of Ralf Alport of Cannock, and had the following children: Thomas (his heir), Margaret (married William Chetwynd of Ridge and later Francis Giffard). He died in 1610 and was succeeded by his son, Thomas Fletcher, Esq. of Featherstone in county Stafford, England. Thomas was born in 1590 and was an officer in the army of King Charles I of England. He increased the familys lands by procuring lands in Wirley Magna, Wirley Parva, Saredon Cannock, and Cheslyn Hay.In 1620, he married Elizabeth, daughter of William Poole, and had three issue with her: Anne, Margerie, and Thomas. His son Thomas was an Esquire of de Magna Wirlsey, who was born in 1620, who married Mary Bourne, and had issue with her: Thomas, John, and Katharine. He was succeeded by his eldest son, Thomas Fletcher. This Thomas was an Esquire of Wirley Magna, who educated at New College Oxford, in 1664, married Catherine Richards, and had issue with her as follows: Catherine, (married H. Hodgetts), Elizabeth (married George Keen of Stafford), Anne, and Thomas. His son Thomas was an Esquire of Cannock wo married Mary, daughter and heiress of William Keelinge of Sedgley Park, and had two sons with her: Thomas and William (married Alice Blakemore and had issue). His son Thomas was his heir. This Thomas Fletcher was born in 1730, and died in 1802, whereupon he was succeeded by his nephew, also named Thomas. This Thomas was an Esquire of Handsworth who was born in Stafford, England in 1772. In 1810, he married Anne, daughter of Thomas Russell, and had six issue with her: Thomas William, William (D.D., Vicar of Ulceby, married Hannah Maria Jane Bainbridgge, had seven issue), John Waltham (married Elizabeth Sarah Dimmock and had four issue), Henry (Reverend, Vicar of Trinity Church, married Mary Ann Letitia Field and had issue), and Anne (married Reverend William Henry Flowers, had issue). His son Thomas William Fletcher was an Esquire of Laneswood House county Stafford who was Barrister-at-Law, Justice of the Peace, Deputy Lieutenant, and Colonel of the 1st Regiment of King’s Own Staffordshire Militia. In 1831, he married Jane Maria, daughter of James Russell of Bescot Hall and Endwood Court and Sarah Best, and had three issue with her: Thomas Howard Keelinge (Lieutenant of the 15th Regiment, married Helen Simonds), Walter Bracebridge (Lieutenant of the 84th Regiment), and Eliza Jane (married George William Moore of Abbeylands). The Fletcher Coat of Arms (sometimes mistakenly referred to as the Fletcher Family Crest) is blazoned in heraldry as follows: Argent, a cross engrailed sable between four pellets each charged with a pheon or, on a canton azure a ducal crown gorged(?). Crests: 1st, A horse’s head erased azure a ducal crown azure; 2nd, On a chapeau gules a scaling ladder or. Motto: Sub cruce salus. They were seated at Lawneswood House near Stourbridge. Phillips Lloyd Fletcher was an Esquire of Nerquis Hall, county Flint, and Pengwern, county Merioneth, was a Justice of the Peace who was born in 1822. This branch of the Fletcher family tree was seated at Nerquis Hall, Mold, and Penwern, Festiniog, Wales. The lineage traces back to the great house of Wynn Gwydyr, who descended from Rhordi, Lord of Anglesey, son of Owen, the Price of Wales, and originated with Maurice Wynn, an Esquire of Gwdyr, county Caernarbov, son of John, who died in 1553 and had issue with her wife Jane, daughter of Sir Richard Bulkeley. Several generations late, a one Reverend Maurice Wynne, Rector of Bangor in county Flint, died in 1835 and his property was inherited by his nephew, Reverend Lloyd Fletcher of Llwyn, who was born in 1786. Lloyd in turn died and was succeeded by his nephew, Thomas Hanmer Fletcher, who was born in 1817. They were a branch of the Fletchers of Fletcher of Cockermouth. The Fletcher genealogy of this branch because with William Fletcher, of Cockermouth, whose son Henry entertained Mary, Queen of Scots, on her journey from Workington in 1558. One of the earliest bearers of the name there was Lancelot Fletcher who lived in Dean from 1546 to 1635. Thomas Fletcher of Mockerin, who died in 1634, had a son named Lancelton, who in 1660, married Alice Holstock of Moosergahe, and had issue with her. One of his children was Japhet Fletcher, who was born in 1671 and in 1693, married Mary Allason and had fathered ten children with her. His youngest son was Isaac Fletcher, who was born in 1713, and in 1743, married Susanna Harris, and had numerous issue with her: John, Isaac, John, William, and Jane. He died in 1781 and was succeeded by the second son John. John was an Esquire of Greysonthen born in 1758, and in 1785, married Deborah, daughter of John Wilson of the same town, and had issue with her: John Wilson, Isaac, and Mary (married William Miller of Whitehaven). He was succeeded by his son, John Wilson Fletcher, Esquire of Greysonthen and Farnbank, who was born in 1788. In 1821, he married Mary, daughter of John Allason of Beech Hill, and had four children with her: John Wilson, Isaac, Henry Allason (married Lucy, daughter of William Sutton of Scotby), and Ann Deborah (married Theodore Harris of Leighton Buzzard and later Gertrude Louisa, daughter of Lord Charles James Fox Russell). His son Isaac Fletcher, was an Esquire of Tarnbank, Cockermouth, Cumberland, who was born in 1827 and was a Justice of the Peace, Deputy Lieutenant, and Member of the Parliament. In 1861, he married Esther, daughter of Joseph King of Wassail Grove. The Fletcher Coat of Arms (erroneously called the Fletcher Family Crest) is blazoned in heraldry as follows: Argent, a cross engrailed sable fretty of the field between four pellets each charged with a pheon or. Crest: On a mount vert in front of a horse’s head argent a bezant charged with a trefoil slipped gules. Motto: Martis non cupidinis. The lineage begins with Major Philip Fletcher, great-grandson of Philip Fletcher, had two sons John of Clea Hall (his son Henry was created a Baronet in 1782) and Philip. The latter son was a Surveyor-General of the Province of Ulster, who married Mary, daughter of Reverend Mr. Twigg, and died in battle in 1758, having had the following issue: Philip, Thomas (died at the Battle of Dettingen), and Richard (married Anne Helena, daughter of Archibald Edmonstone). The youngest son was Reverend Edward Fletcher of Lisburn, who in 1753, married Jane Murray, and had the following issue with her: Anne Helena, Margaret (married a Higginson), and three sons. His second son was Edward Fletcher, Esquire of Alresford, Hants, was born in 1763, and in 1797, he married Dorothea, daughter of Sir Charles William Blunt, and had issue with her: Edward Charles, Charles Philip (married Francesca Alloysa Mollico and had a son and daughter with her), James (married Julia Wingfield), Charlotte Jane (married Reverend George Matthias), Sophia (Colonel R.M. Oakes), Emily (married James Arnott), and Louisa (Majory-General Chesney). The eldest son, Charles Edward, of Kenward, Yalding was born in 1799 and was a Justice of the Peace, Deputy Lieutenant, and Major General in the army, who in 1830, married Ellen Mary Shore, daughter of John, 1st Lord Teignmouth, and had two issue with her: Henry Charles (of Kenward), Philip Shore (married Lucy, daughter of J. Pickering of Brighton). He later married Lady Frances Marsham, daughter of Charles, 2nd Earl of Romney, and had issue with her: Charles Edward, Lionel John William, Edward, Isabella Margaret, and Mary Catherine. His son Henry Charles Fletcher was an Esquire of Kenward, Yaling, in county Kent, England was born in 1833 and he was a Justice of the Peace and a Colonel of the Scots Guard. In 1863, he married Lady Harriet Marsham, daughter of Charles, 3rd Earl of Romney, and had nine issue with her: Edward Walter, Arthur, Herbert, Wilfred, Harold, Maude Ellen, Edith, Muriel, and a another daughter. The Fletcher Coat of Arms (sometimes erroneously called the Fletcher Family Shield) is blazoned in heraldry as follows: Argent, a cross engrailed sable between four pellets each charged with a pheon erect of the first. Crest: A horse’s head erased argent. The Fletcher genealogy of this branch begins with Sir Andrew Fletcher of Innerpeffer, a prominent laywer, and a Senator of the Collge of Justice, who around 1650 AD, purchased the lands of Salton in East Lothian, from Alexander, Lord Abernethy. He married a daughter of Peter Hay of Kirkland and had issue with her, including a son named Robert. Sir Robert of Salton in turn had a son named Andrew. This Andrew Fletcher of Salton was a celebrated patriot born in 1653. He was Commissioner for East Lothian in the Scottish Parliament and was so feverent that he had to seek exhile in Holland. He went to Hungary and gained great reputation in the war against the Ottoman Empire. At the time of the Revolution, he returned to Scotland, and resumed the possession of his estate, and became a Member of the Convection for settling the new government. He died in 1717 and was succeeded by with brother Henry. Henry was an Esquire of Salton, who in 1688, married Margaret, daughter of Sir David Carnegie of Pittarrow, and had a son named Andrew. 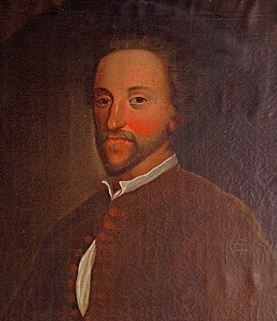 This Andrew Fletcher, Esquire of Salton, was born in 1691 and was admitted in the Scottish Bar in 1717 and held several positions/titles subsequently. He married Elizabeth, daughter of Sir F. Kinloch of Gilmerton, and had a son with her named General John Fletcher Campbell of Salton, county Haddington and Boquhan, county Stirling, Scotland. In 1795, John married Ann Thriepland, and had two sons with her: Andrew and Henry Fletcher Campbell (of Boquhan in Stirling, a Justice of the Peace and Deputy Lieutenant who married Ann, daughter of Hugh Hawthorne of Castle Wigg, had issue). Charles John Fletcher was an Esquire of Dale Park, Sussex, was a Justice of the Peace and Lieutenant of the 18th Hussars who was born in 1843, and in 1870, married Helen, daughter of Arthur Edward Knox, and had three issue with her: Charles Arthur (born 1871), Alan Francis (born 1876), and Eleanor Susan. He was the son of John Charles of Dale Park. He was of Scottish descent and founded a large mercantile house in Peru, South America. He purchased the estate of Dale Park from the Duke of Aberborn in 1852. He died in 1875. His younger brother was James, Esq. of Rosehaugh, Avock, county Ross, Scotland. The Fletcher Coat of Arms is blazoned as follows: Sable, a cross flory between four escallops argent. Crest: An arm in armour gules, holding a sword proper. James Fletcher was an Esquire of Rosehaugh, county Ross, as well as a Justice of the Peace and Deputy Lieutenant. In 1852, he married Frederika Mary, daughter of John Stephen of Melbourne, niece of Sir Alfred Stephen, and had five issue with her: Alfred Nevett (1853), Edward Stephen (1854), James Douglas (1857), and Fitzroy Charles (1858), and Constance Maud. The lineage begins with Henry Fletcher of Cokermouth Castle, son of William Fletcher of Cockermouth, married a daughter of Swinburn of Huthwait, and had the trust of princess Mary Stuart as she journeyed to Workington. He died in 1574, having issue, including three sons: William (ancestor of Fletcher of Moresby), Lancelot (progenitor of Fletcher of Tallantire), and Thomas. His youngest son Thomas married Jane Boleen, and had issue with her, including sons named Sir Richard (of Cockermouth and of Hutton, Cumberland) and Philip. The younger son Philip was the grandfather of Richard Fletcher. Richard had a son named Major Philip Fletcher, who died in 1744, having a daughter and two sons: John and Philip (ancestor of the Fletchers of Kenward). 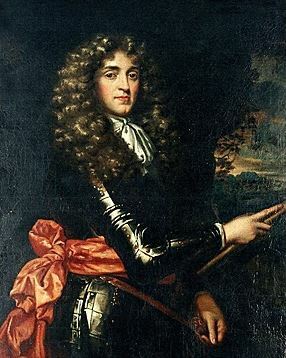 His elder son, John, of Clea Hall, Cumberland, England, married Mary, daughter of Ewan Christian, and later Isabella, daughter and co-heir of John Senhouse, of Netherhall, Cumberland, and had issue with her, including Sir Henry, Grace (married William Taylor), and Jane (married Thomas Benson). His fifth son, Sir Henry Fletcher of Clea Hall, 1st Baronet, was created so in 1782. Henry represented county Cumberland in Parliament from 1768-1802. In 1768, he married Catherine, daughter and sole heir of Henry Lintot of Southwater, and had two issue with her: Sir Henry (2nd Baronet) and Catherine. Several generations later came Sir Henry Lancelto Aubrey-Fletcher, the 6th Baronet, who was a Justice of the Peace, Deputy Lieutenant, High Sheriff, and Major and Lieutenant Colonel who served in both World Wars, born in 1887. He succeeded his father in 1937, and in 1911, married Mary Augusta, daughter of Robert William Chilton, and had five children with her: John Henry Lancelton (Liutenant Colonel of the Grenadier Guards, served in WWII, married Diana Fynvola Egerton, had a son named Henry Egerton and a daughter named Susan Mary Fynvola), Nigel Chilton (served in WWII as a Lieutenant in the Royal Air Force, married Areta Mae Less of Ontatio, Canada, had sons Philip Nigel and David Lancelot), Lancelot Philip (Captain of Grenadier Guards in WWII), Edward Henry Lancelot, and Mary Elizabeth. The Fletcher Coat of Arms (mistakenly called the Fletcher Family Crest) was blazoned in heraldry as follows: Quarterly: 1st and 4th, sable, a cross engrailed, argent, between four plates, each charged with an arrow of the first (Fletcher), 2nd and 3rd, azure, a chevron between three eagle’s heads erased or (Aubrey). Crest: 1: Fletcher, a horse’e head, argent, charged with a trefoil gules, 2: Aubrey, an eagle’s head erased or. The motto was Martis non Cupidis. They resided at Town Hill, Chilton, Aylesbury, Bucks, England. Richard Fletcher was born in Campsall, Yorkshire, in 1503 AD. He married Ursula Bamabe and had a son with her named William. This William was born in Hatfield, Quarendon, England in around 1529 AD. He married Elizabeth Wentworth and had a daughter with her named Elizabeth, born in around 1580 in the same town, and she later married Henry Lee. Moses (or Moyses) Fletcher came to Plymouth, New England in 1620 aboard the Mayflower. Edward Fletcher, age 20, came to St. Christopher’s, Barbados in January 1634. Henry Fletcher, age 35, came to Bermuda aboard the Truelove of London in June 1635. Miles Fletcher, age 27, came to Virginia aboard the America in June 1635. Joseph Fletcher, age 18, came to Virginia aboard the Primrose in July 1635. Lodowick Fletcher, age 20, came Virginia aboard the Elizabeth in August 1635. Benjamin Fletcher (1640-1703) was appointed Captain General and Governor of New York. Edward Fletcher was recorded as dead in Virginia (at James Cittie Plantation) in February 1623. William Fletcher was buried in the parish of St. Michael’, Barbados in March 1678, as was Noah Fletcher in July of the same year. 1) Robert Fletcher, of Concord, 1635, who was a constable in 1637. He died in 1677 at the age of 84, and had children named Luke, Francis, Samuel, and William. 2) John Fletcher of Wethersfield, who in 1641, married Mary, daughter of Widow Joyce Ward, and had children named Anthony, William, Robert, and John. He moved to Milford, and joined the church there in 1641, and he had issue named Sarah, Hannah (1643), Elizabeth (1645), Samuel (1649), and Abigail (1652). He passed away in 1662. 3) John Fletcher of Portsmouth, freeman in 1669, who was one of the founders of the first congregational church in 1671 and was a deacon, as well as a physician. He died in 1695. 4) Henry Flether of Reading, had a son named Samuel born in 1662. Other early settlers in colonial America bearing this surname include Ralph Fletcher (Virginia 1701), Richard Fletcher (Virginia 1705), Matthew Fletcher (Virginia 1714), and Henry Fletcher (Georgia 1733). In Canada, one of the earliest bearers of this name was J. Fletcher who arrived at St. John’s Newfoundland in 1703. In Australia, one of the first bearers was Joseph Fletcher, a convict from Derby, England, who came in 1809 aboard the Ann, living in New South Wales (then a penal colony). In New Zealand, one of the earliest arrivers with this name was J. Fletcher who came to the city of Auckland in 1845. 1) Azure 2 horses’ heads erased or, and in base an anchor of the last. On a chief [wavy or?] 3 hurts [each charged with a pheon argent?]. On automobile of Frank E. Fletcher, Hotel Princeton, Allston, Mass. 2) Quarterly 1 and 4: Sable a cross flory between 4 escallops argent; 2 and 3: a chevron bet 3 crosses (?) 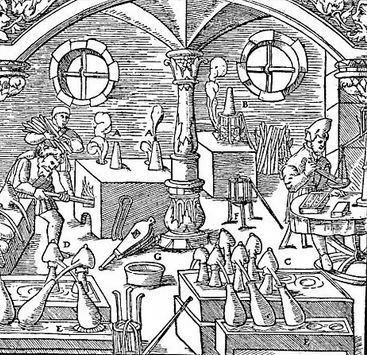 Impaling: A chevron bet 3 martlets. Seal of Col. Benjamin Fletcher, Gov. of N. Y., 1692. Lord Bellomont, a successor, was asked to remove Fletcher’s arms from Trinity Church since his birth was so mean and obscure that he was not entitled to bear a coat of arms.” Mere. Hist., N. Y., vol. 1, p. 490. Heral. Jour., vol. 4, p. 95. 3) Sable a chevron engrailed argent between 4 plates, each charged with an arrow point down of the first. Crest: a pheon per pale ermine and sable. Bookplate Fletcher Memorial Library, Ludlow, Vt.
Crozier’s General Armory (1904) and Matthew’s American Armoury (1907) and Bluebook do not contain an entry for this common last name. There are hundreds of notable people with the Fletcher surname. This page will mention a handful. Famous people with this last name include: 1) Andrew John Leonard Fletcher (1961) who was an English keyboard player from Nottingham who was a founding member of the 1980s electronic band Depeche Mode, 2) Arthur Fletcher (1885-1950) who was an American baseball player from Collinsville, Illinois who played in the MLB from 1909-1922 for the New York Giants and Philadelphia Phillies, 3) William Bartlett Fletcher Sr. (1862-1957) who was a Rear Admiral in the United States Navy who commanded the USS Birmingham,4) Thomas Clement Fletcher (1827-1899) who was the 18th Governor of Missouri from 1865-1869 who freed the slaves in that state, 5) Richard Fletcher (1544-1596) who was a priest and bishop in the Church of England born in Watford, who became Dean of Petersborough, 6) Phineas Fletcher (1582-1650) who was an English poet born in Cranbrook, Kent, 7) Percy Eastman Fletcher (1879-1932) who was a British classical music composer from Derby, 8) Estelle Louise Fletcher (1934) who was an American academy award winning actress, born in Birmingham, Alabama, who had notable roles in Flowers in the Attic, Cruel Intentions, Exorcist II, and One Flew Over the Cuckoo’s Nest, 9) Frank Jack Fletcher (1885-1973) who was an admiral in United States Navy during World War II, nicknamed “Black Jack:, who received a Medal of Honor for his actions at the Battle at Veracruz, born in Marshalltown Iowa, 10) Sir Banister Flight Fletcher (1866-1953) who was an English architect and historian who wrote a common textbook called A History of Architecture, and 11) Norman Vyner Fletcher (1867-1889) who was an Australian botanist noted for researching the eucalyptus plant. The two most prominent symbols in the Fletcher Coat of Arms (erroneously called the Fletcher Family Crest) are the pheon (arrow head) and cross engrailed. Given the martial nature of the origins of Heraldry, in the identification of knights and men-at-arms it can come as no surprise that medieval weaponry of all types are frequently to be found in a coat of arms. The pheon is a specific type of arrow head with barbs and darts and hence quite distinctive in appearance. Like the other symbols related to arrows, Wade suggests the symbolism is that of “readiness for military service”. No other symbol appearing in heraldry is subject to as much variation as the cross. Medieval Europe was a deeply religious and Christian and many of the nobility wanted to show their devotion by adopting the symbol of the cross as part of the arms. Since no two arms could be identical there arose many variants of the cross, typically involving patterning along the edges. The pattern engrailed is a series of scalloped indentations with the points facing outwards – and should not be confused with invected, which has the points facing inwards! Wade believes that both of these indented forms represent “earth or land”, and one perhaps can indeed see the furrowed earth embodied in them.